In playing our part in keeping the environment clean and population free it’s the responsibility of every citizen to ensure that garbage and other waste products are disposed of safely and appropriately. People should also make an extra effort to apply eco-friendly garbage disposal practices when disposing of waste as a way to promote healthy living and to have a positive impact on the environment overall. With waste generation and improper garbage disposal becoming such a growing concern all over the country the need for effective waste management systems has definitely increased. Nevertheless there are several environmentally safe garbage disposal practices that can be adopted to help address or even eliminate certain issues relating to waste disposal that hinder the process of effective waste management. Recycling and reusing products, proper disposal of hazardous waste, using bio-degradable and eco- friendly products are all great ways to promote green and healthy garbage disposal practices. Essentially these practices serve to prevent contamination, pollution or any major health issues among the population as well as to encourage people everywhere to maintain a clean and safe environment. Recycle – Unwanted items in good condition can be given to someone who has use for them. Using discarded items for another purpose can also go a long way as it encourages ‘green living’ helps to save money and increases landfill space. Reuse unwanted organic materials – Yard debris and food scraps can be reused in gardens as mulch or fertilizer or as food to feed small animals. Dispose of hazardous waste safely – Items such as fluorescent light bulbs, household chemicals (insecticides, pesticides, fertilizers, detergents) batteries, medical waste (mercury thermometers, needles and syringes) auto products and paints should all be disposed of in a careful manner to ensure safety around homes and communities. Keep disposal area clean – Be sure to keep the area around dumpsters and waste receptacles clean to avoid unhealthy pile ups, unsanitary conditions and to provide a safe area for waste management personnel to operate. It’s not everyone who may know how to recycle or even have the proper facilities in place to dispose of waste properly for example no available garbage receptacles/dumpsters to place waste. So to help persons handle this issue there are waste removal services who come in and manage the removal of all types of waste. So whether it’s a small bag of kitchen waste or an old broken down refrigerator they can come in and remove it for you. In most cities residential garbage is normally collected twice weekly to be processed and disposed. Nevertheless there are certain types of waste that is not collected with regular garbage services which leaves homeowners to deal with it on their own. Here at Junk King we specialize in the removal of all types of waste. Rated #1 in the country for eco-friendly waste removal no task is big or too small for us to manage. Remember we also transport and process your waste with no additional or hidden fees. Benefit from our top rated, professional, services with little or no hassle to you. Play your role in helping to keep the environment clean and your community safe. 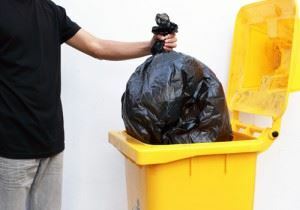 To get your waste removed visit our website at www.junk-king.com to book online or call us at 1-888-888-JUNK to schedule an appointment right away. This entry was posted in Uncategorized and tagged green waste, junk hauling, junk removal, residential junk hauling on September 5, 2017 by Julian Torres, "JT". Last updated September 9, 2017 .